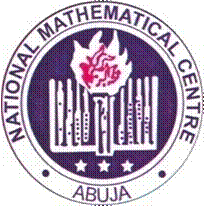 The National Mathematical Center, NMC has published the full results of the SDGs Examination/Competition among Girl Students First and Second Round Results for the 2018/2019 academic session. Latest Update: The Second Round SDGs Examination/Competition among Girl Students Results has been released and uploaded online. The List includes successful candidates invited to Abuja for third round and Award Ceremony. Qualified candidates are expected to participate in the 2018/2019 NMC SDG Competition Third Round Examination scheduled to hold on Friday, 1st March, 2019.